Karen has contributed to 16 books (C&T Publishing, House of White Birches, Leisure Arts, DRG) as well as authored two of her own. She has designed projects for Hoffman, Stof, Benartex, Robert Kaufman Fine Fabrics, YLI Thread, Freudenberg-Pellon, Sew-Fit Templates, Michael Miller Fabrics, Northcott, Hobbs Batting and P&B Textiles. Several of Karen's quilts have been exhibited at International Quilt Festival in Houston, Texas toured North America with IQF. 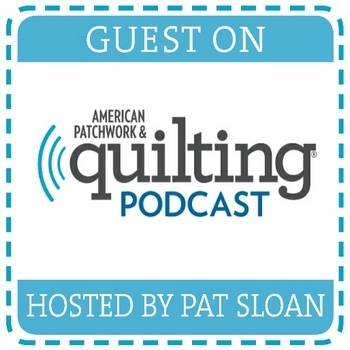 Three times, Karen's quilts have been juried into Paducah. Her work has been exhibited in Japan and France, and as part of the Hoffman Challenge. Karen's proudest accomplishment is making a quilt which was presented to Sir Paul McCartney on his visit to Nova Scotia in 2009. 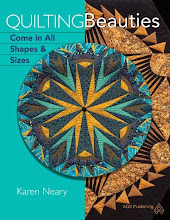 Karen's latest book from AQS - Quilting Beauties Come In All Shapes and Sizes -was released in 2015. 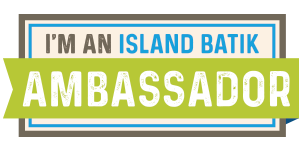 Karen hails from Five Islands and currently resides in Amherst, Nova Scotia,Canada. Quilt World,Dec,Jul 2000; Mar 1999; Jul 1997; Nov 1996; Nov,Apr 1994.